Upcoming 17.11.2013 – Platform r.f. 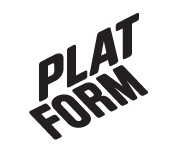 Platform’s current artist in residence Daniel Ladnar will present and launch his project “Upcoming” at the Terranova Kvarken Nature Centre on Sunday, the 17th of November, at 4 pm. All welcome! “Upcoming” invites people to send a message to the future. They can send whatever they like, as long as it fits into an envelope. All letters are put into time capsules which will be sunk in the Kvarken archipelago in the summer of 2014. And because every year the land rises by almost 1cm there, they might re-appear sometime in the future. Or they might never be found. “Upcoming” engages with the land rise in the Kvarken archipelago and with the constant changes that the planet is going through. It asks people to consider their relation to the future: What things, thoughts and memories would the people of Vaasa like to preserve for the future? Are there any messages they would like to leave for future generations? What are their hopes, their fears, their secrets, their ambitions? Letters (maximum size: A6) will remain unopened. There will be a letter box installed permanently until next summer at Terranova Kvarken Nature Centre (Museokatu 3, Vasa) for people to leave their messages. If you would also like to participate in the project by installing a letter box somewhere, you are welcome to do so. Participation is also possible for people from other places. They can send letters to the following address: Upcoming c/o Platform, Kasern 14, Västra Kaserntorget 8–10, FIN-65100 Vasa.